We recently moved house for the second time in 18 months. Granted, it was easier this time around considering I wasn’t pregnant and could carry and lift all manner of items. But moving house with three children is not what I would call easy, nor is it something I’d care to do very often. I admit, the actual house move was much more straightforward than the house hunt. We found our new abode a mere nine days shy of our moving date – it was stressful, to say the least. But in retrospect, I’m grateful for heeding the advice of friends, outsourcing where possible and planning right down to the very last box. 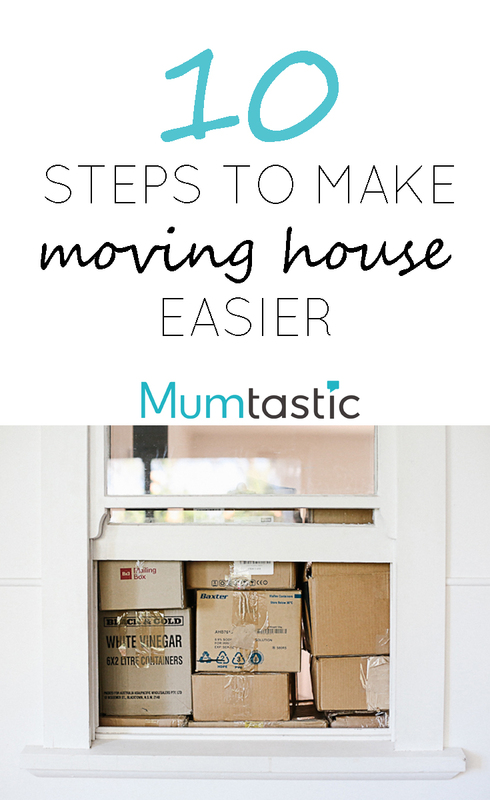 If you’re moving house soon, here’s how you can make it easier (which doesn’t mean easy, just to be clear). 1. Start packing early. Three months out from our official moving date I started packing boxes (hint: don’t buy them! 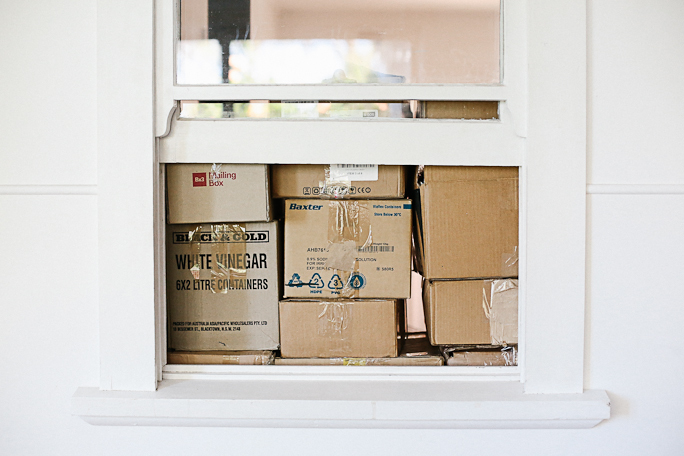 Bookshops, clothing boutiques and Bunnings have boxes in abundance). I tackled the non-essential kitchen items first and then moved onto a portion of soft toys, books and board games. Unsurprisingly, these boxes are still sitting under our back patio waiting to be unpacked which poses the question: should I skip the unpacking part and drive them straight to the charity shop? I have no idea what’s in them, I’m not missing anything (yet) and the children haven’t pondered their contents, either. Food for thought. 2. Declutter as you go. There’s no point moving things you’re going to throw away (ignore step number 1). Granted, if time isn’t on your side you could skip this step but I find it to be quite therapeutic. As a bonus, moving house is the greatest motivator – there’s no excuses to stop when the job is half done! 3. Start talking about the move with your kids. Moving house is rated as one of the top five most disruptive experiences a child can have. Therefore, it’s best to be clear about what’s happening but, in the same breath, don’t get overly emotional about it. Stay pragmatic, don’t complicate the process and, most importantly, maintain your everyday routine and rhythm so day-to-day life doesn’t get too chaotic. The Usborne First Experiences series has a great book on Moving House which ultimately makes an unfamiliar situation seem much less daunting – perfect for toddlers and preschoolers. 4. Pack a moving bag. There’s nothing worse than searching for a school uniform or a pair of running shoes on moving day. The solution? Pack a bag with at least four days worth of clothes – for everyone in the family. It really does make the process so much easier and does wonders for your mental wellbeing. 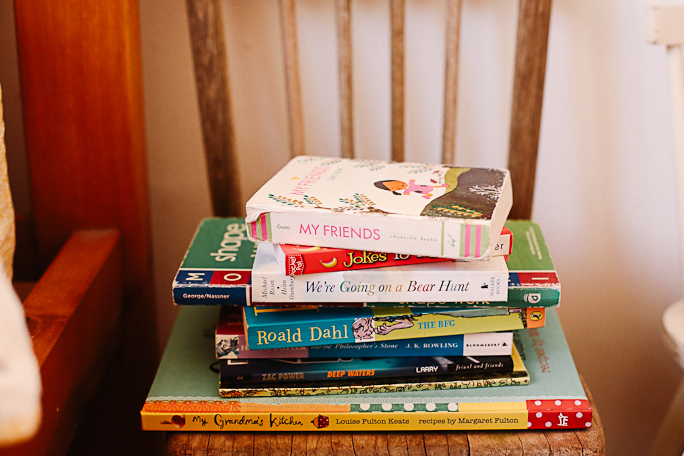 While you’re at it, make sure the crayons, pencils, paper and a few favourite books are handy, too. 5. Stock up on packing tape and garbage bags. Chances are you’ll loose a few rolls of tape along the way so it’s best to have a stockpile. 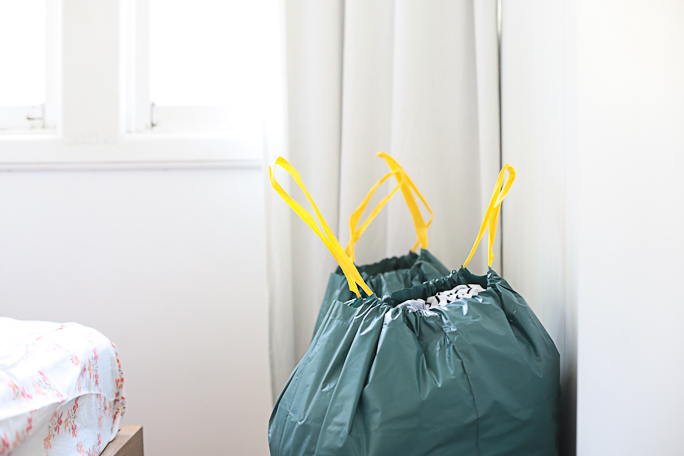 Garbage bags are handy for all manner of last minute items. Plus, they are a great option for transporting clothes and linen. 6. Book the removalists and then the babysitters. Once you have a moving date book the removalists and then search for babysitters. Moving day is much less stressful if the kids are being cared for and, let’s face it, they’ll have much more fun, too. 7.Outsource the final clean. Firstly, request a vacating checklist from your real estate agent to make sure you don’t forget anything. Then, book a cleaner. I find word-of-mouth recommendations to be the most trustworthy. And let me tell you, closing the door on the house and knowing you don’t have to clean the oven or the windows is an almighty relief. 8. Set up the kitchen and the bedrooms first. As long as you can make tea and toast and you have a bed to sleep in, you’ll be alright. Everything else can wait (it really can!). 9. Be patient. Just because you’ve signed off on one house and you’re settling into another doesn’t mean all the work is done. We’ve been in our new house for two weeks now and there are still boxes that haven’t been touched, a laundry in disarray and a pantry that desperately needs order. During the normal day-to-day running of a family household there are only small pockets of time to find a place for everything and put everything in its place. My advice? You can get a lot done in 15 minutes if you put your mind to it. Remember: one room at a time. 10. Make new memories. Taking the time to create stability and make fond memories in your new home is a priority, especially for your children and their sense of security and place. Open the windows and play some music, take a walk through your new neighbourhood, plan an indulgent family movie night complete with popcorn and ice-cream, have a picnic in the garden and find the perfect corner of the house for storytime.